Persepolis paints an unforgettable portrait of daily life in Iran: of the bewildering contradictions between home life and public life and of the enormous toll repressive regimes exact on the individual spirit. Marjane’s child's-eye-view of dethroned emperors, state-sanctioned whippings, and heroes of the revolution allows us to learn as she does the history of this fascinating country and of her own extraordinary family. 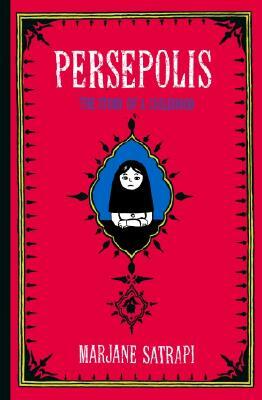 Intensely personal, profoundly political, and wholly original, Persepolis is at once a story of growing up and a stunning reminder of the human cost of war and political repression. It shows how we carry on, through laughter and tears, in the face of absurdity. And, finally, it introduces us to an irresistible little girl with whom we cannot help but fall in love. Marjane Satrapi was born in 1969 in Rasht, Iran. She grew up in Tehran, where she studied at the Lycée Français before leaving for Vienna and then going to Strasbourg to study illustration. She currently lives in Paris, where she is at work on the sequel to Persepolis and where her illustrations appear regularly in newspapers and magazines. She is also the author of several children’s books.